With the start of the autumn season comes the harsh reality that swimming pool season is over for most of us. While you may not be able to take a dip right now, you can still enjoy your pool deck. Sitting out on the deck on a fall night can be relaxing and is also a great way to entertain. But, it’s not all fun and games. There are also some fall maintenance items to take care of when it comes to your pool deck. Let’s take a look at what needs to be done and how you can still enjoy your pool deck through this beautiful season. Clean and Repair the Pool Area. 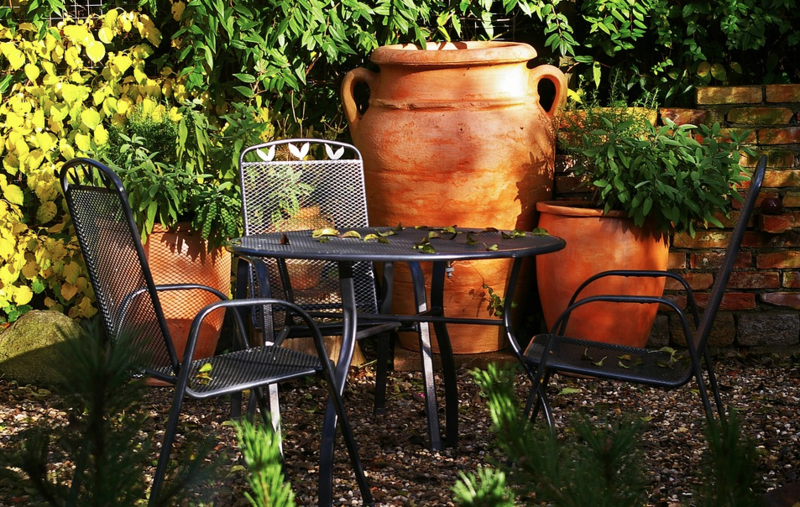 As the leaves start to fall, chances are your deck is getting covered with them. You don’t want to ignore the leaves because doing so could cause damage to the deck’s surface. 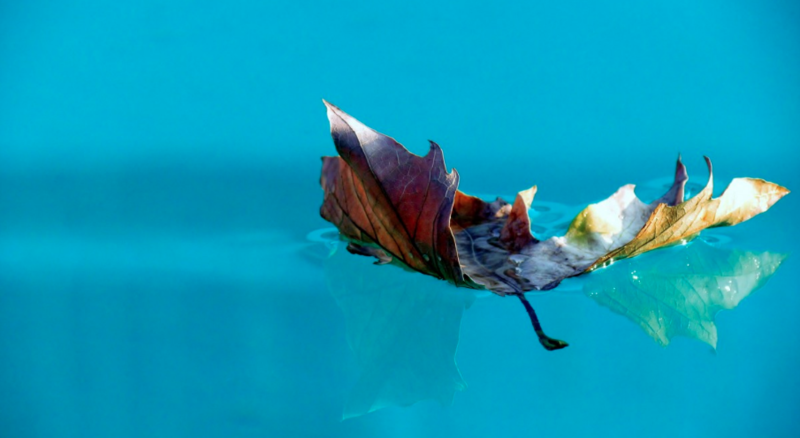 Make sure to clean up those leaves and check your pool deck for any possible damage in the process. If you notice a crack or discoloration, you may want to consider resurfacing to give it a fresh look before next season. It’s an affordable process that could actually save you money down the road. What better way to enjoy the crisp autumn air but by the fire? A fire pit is a wonderful addition if you like to sit outside at night. Besides adding warmth, a fire pit also opens the door to roasting marshmallows and making smores. Who can say no to that? Improve outdoor lighting. Since it will start to get dark out earlier in the fall than during the summer, adding lighting around the deck is a good idea. You can get creative and string Christmas lights or add small lanterns around your pool. Be as creative as you’d like while providing some functional lighting. 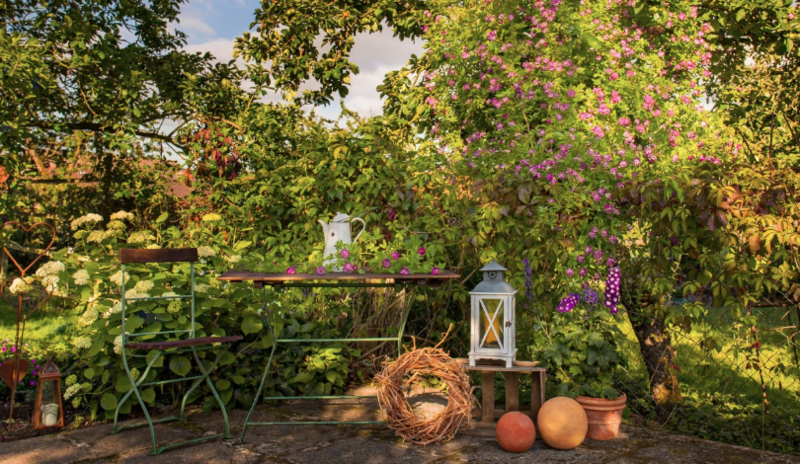 Mums, scarecrows, and pumpkins can create a beautiful fall landscape on your deck. With the perfect autumn backdrop, you’ll be ready to embrace the new season and enjoy your deck until old man winter comes to visit! Pool safety is always in season. If you’re thinking of providing extra security around your pool, a pool fence can be the perfect choice. To learn more about swimming pool safety and how a pool fence can help prevent accidents, contact Protect-A-Child Pool Fence at 1-800-992-2206. Let us show you ways to improve safety around your pool during any season!